ShuffieldLowman attorney, Dana Crosby-Collier, has been recently selected to serve as general counsel to the 2017-2018 Seminole County Charter Review Commission. The National Taxpayer Advocate, Nina E. Olson, has just released the 2017 Annual Report to Congress, an annual report that sets forth problems in the IRS and challenges for the IRS to improve its service to the American taxpayer. This year it contains what is called “The Purple Book,” which presents 50 proposed legislative changes intended to strengthen taxpayer rights and improve tax administration. One of the areas discussed is so-called “unreal” tax audits versus “real” tax audits. In “real” tax audits, taxpayers have significant procedural rights to challenge the IRS’ proposed audit increases in taxes, penalties and other changes to a return. But, the IRS is increasingly using other methods of advising taxpayers that they owe taxes other than through traditional audits. To a taxpayer, these feel like audits as they usually require the taxpayer to accept the changes or provide documentation or other information to contest it. However, the protections that apply in “real” audits do not apply in these cases. These “unreal audits” include proposed changes based on math error authority, the Automated Underreporter document-matching program, and the Automated Substitute for Return program. In the 2016 fiscal year, the number of returns audited under “real” audits was only 0.7 percent. However, when “unreal” audits are included, the audit rate jumps to 6.2 percent. This is a significant difference. Important rights not available in these “unreal” audits include the opportunity to pursue relief from the auditor’s conclusions in an administrative appeal to the IRS Office of Appeals. A taxpayer who fails to timely respond to a math error notice loses the opportunity to pursue the matter in the United States Tax Court, which is important since it is the only chance to obtain judicial review without first paying the proposed increases in tax and penalties. Because the IRS is increasingly using these “unreal” audits, the taxpayer protections provided by Congress are being circumvented. Further, the Taxpayer Advocate contends that IRS compliance activity statistics based on “real” audits are misleading because the overwhelming majority of tax adjustments are being made through “unreal” audits. The Advocate also claims that the IRS intends to increase “unreal” audits pursuant to its “Future State” plan. Accordingly, the Advocate is recommending that the IRS revise its definition of an audit and expand the application of taxpayer protections provided under the Taxpayer Bill of Rights to these “unreal” audits. With the ringing in of 2018 comes an opportunity to do away with the bad habits and start good ones. Here are a few pointers to help keep your business in compliance with labor and employment laws all year long. Effective January 1, 2018, Florida’s minimum wage for non-tipped employees increases from $8.10 to $8.25 per hour, and for tipped employees, increases from $5.08 to $5.23 per hour. Ensure that your current payroll practices have accounted for these increases, and that your business has also posted somewhere conspicuous and accessible in the workplace a copy of the 2018 Florida Minimum Wage Poster. A free download of the poster in the English, Spanish, and Creole languages is available from the Florida Department of Economic Opportunity at www.floridajobs.org. With the #MeToo movement and the recent wave of sexual harassment claims sweeping across the county, employers should take a close look at their current anti-harassment policies and procedures to ensure that they are adequate. A common policy drafting mistake is to provide for only one avenue of reporting – that all complaints must be reported to a direct supervisor. But, what if the employee’s direct supervisor is the harasser? Make sure that your employees have multiple outlets for reporting, and that those to whom claims of harassment may be reported are prepared to listen and take appropriate action. Employers should also strongly consider providing appropriate harassment prevention training even if the training will just be a refresher. The National Labor Relations Board (NLRB) recently revisited the applicable standard in determining whether an employer’s policies unlawfully limit employees’ rights to engage in protected concerted activity. 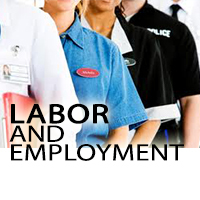 Previously, an employer’s policy was subject to violating the National Labor Relations Act if it could be “reasonably construed” to limit an employee’s right to engage in protected concerted activity such as, for example, discussing the terms and conditions of employment with other employees. Now, the analysis is whether an employer has a “legitimate justification” for the policy in question. While this change is considered more employer-friendly, businesses should still revisit their current policies regulating workplace conduct standards and determine what legitimate justifications exist for those policies. Consider whether your company has become subject to the requirements of the Family and Medical Leave Act of 1993 (FMLA). Even a company with less than 50 employees may nonetheless be subject to the requirements of the FMLA if it had hired at least 50 employees for 20 or more calendar work weeks in the prior or current calendar year. Any employer subject to the FMLA must make certain disclosures to employees of their rights under the FMLA, in addition to providing and administering leave in accordance with the Act. Medical marijuana continues to be a rapidly-evolving area of the law, with a broad diversity among states regarding its use. While Florida employers are not currently required to permit on-duty medical marijuana use, or permit their employees to report to work under its influence, Florida employers should consider whether their current policies reflect their attitude towards its use. For example, if an employee tests positive on a drug screen, will the employer permit the employee to furnish a registration card/prescription to explain the result, so long as there are assurances that the employee will not work in an impaired state? Or, alternatively, if the employer adopts a zero-tolerance drug-free workplace prohibiting “illegal drugs,” does the policy reflect that “illegal drugs” are any such drugs currently deemed illegal under either state or federal law? Businesses should consider revisiting whether its workers are appropriately classified as either employees or independent contractors. Misclassification can lead to hefty liability such as civil and monetary penalties, reimbursement of back wages (including overtime pay and work-related expenses), and tax obligations. Don’t make the mistake of relying solely on a Form 1099 and a position title in making the determination. The analysis required for the determination is much broader. Consider factors such as whether the worker is integral to the company’s business, the degree of control maintained over the worker, and the term of the worker’s engagement. Generally, the more integral the worker is to the company’s business, the more control the company maintains over the employee, and the longer the engagement, the more likely it is the worker should be classified as an employee. 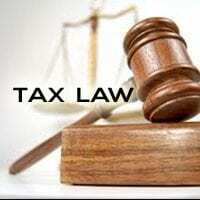 There has been a series of cases that bode ill for taxpayers who failed to file foreign bank account reports (FBARs). To review, the law requires taxpayers who have foreign bank accounts with a total balance of $10,000 at any point in a calendar year to file an FBAR the following year. Until recently, that return was due by June 30 with no extensions. Recent changes now make the return due at the same time your income tax is due and it is automatically extended to October 15 if you file an extension for your income tax return. A non-willful failure to file can result in a penalty of up to $10,000 per account per year. However, the IRS has adopted procedures to reduce the amount pursuant to mitigation guidelines depending upon the total amount held in the accounts in any one year. The agent also has the authority to recommend a single $10,000 penalty regardless of the number of accounts or years. Further, if reasonable cause is demonstrated by the taxpayer, no penalty can be assessed for that year. Typically, taxpayers demonstrate reasonable cause in this area by showing they relied upon their tax preparers or advisors who failed to advise them to file. To succeed in making this showing, taxpayers must show the advisor was presented with all pertinent facts, that the advisor was competent to give advice on the subject and that the taxpayer relied, in good faith upon that advice. A recent bankruptcy case has held that if the advisor was aware of the foreign accounts, but failed to advise that FBARs were required to be filed, that the taxpayer could rely upon the failure to advise as if there had been a specific discussion about the requirement. It stated that to hold otherwise would require an advisor to review every possible form and filing requirement with a taxpayer and tell him whether it had to be filed. This, the court ruled, was not required by the law. Unfortunately, those taxpayers charged with willful failure to file an FBAR do not have the opportunity to show reasonable cause. Somewhat illogically, the statute prohibits it. Yet one might argue (as the author and others have) that if you meet the elements of reasonable cause, you cannot have willfully failed to file. The penalties for a willful failure to file can be draconian. They are $100,000 per account per year or 50% of the balance in the account per year. With a six-year statute of limitations to assess the penalty, theoretically, a taxpayer could be assessed 300% of the highest balance. The IRS, has, however, graciously agreed that they won’t take more than 100%. To further add to the potential misery, there are no mitigation provisions for a willful failure to file an FBAR. Not surprisingly, this has led to litigation on the issue of willfulness. Although FinCen has delegated the authority to the IRS to investigate and assess FBAR violations, the IRS has no mechanism to collect any assessment it may make, except possibly offsetting a taxpayer’s income tax refund by deducting the penalty as a debt owed to another Federal agency. Instead, The Treasury Department, through the Department of Justice, must file an action in Federal district court to obtain a judgment. The taxpayer may be able to pursue refund procedures in either the district court or the Court of Claims. Most of the reported cases have gone against the taxpayer. The facts in many of the cases involve taxpayers who have been convicted of tax evasion or who have admitted they intentionally concealed the foreign accounts to also conceal unreported income. These facts alone would seem to be all that would be necessary to sustain the willful FBAR penalty. However, the courts are going further, unnecessarily in the author’s opinion, and are creating what almost appears to be a strict liability rule. Essentially, they state that when a taxpayer signs a return, he states he has read it and it is correct. Then they point to Schedule B, Part III, which contains the questions about foreign trusts and bank accounts. The courts continue that it contains a warning that other returns may need to be filed. Thus, say the courts, the taxpayer either had actual knowledge of the duty to file an FBAR or is guilty of “willful blindness” in not pursuing the matter further to determine what his obligations are under the law. An argument could be made that this is “dicta’ (comments by the court unnecessary to the ruling), but it is far from clear. Under this standard, a taxpayer who signs an income tax return and fails to file an FBAR may be, per se, deemed to be willful. Interestingly, the IRS has an internal rule that says simply failing to mark the box on the Schedule B, or marking it “no” is not enough. Perhaps that is why the courts that have made created this rule have spent a significant amount of time in their opinions setting forth the “bad acts” of the taxpayers in those cases. Unfortunately, they don’t state that to be the case. Very recently, one district court held in favor of a taxpayer where, it held, the facts did not rise to the level that it believed was intended by Congress when they passed the law. The author was advised by an Appeals officer in Tampa, Florida, that the Government was going to appeal the decision. All the above, together with the implementation of FATCA in countries around the world, the continuing expansion of the Foreign Institutions and Facilitators list ( a list of banks and people that assisted taxpayers in setting up off-shore accounts or trusts, etc. that the IRS has determined should result in a 50% instead of a 27 ½ % off-shore penalty under an OVDP submission) point to the need for individuals who have foreign bank accounts, trusts or other off-shore assets or foreign unreported income to seek advice and seriously consider participation in the Off-shore Voluntary Disclosure Program (OVDP) where many of these penalties can be avoided or substantially reduced. The IRS has announced two new and highly sophisticated approaches to criminal tax enforcement. The first, called the “data initiative”, sounds similar to the data analysis first used by FinCen to uncover money laundering operations. It will consist of data analysis from information provided by field offices throughout the country. This will allow the IRS to identify areas of non-compliance that have nationwide impact and use its resources to coordinate investigations and provide greater support to the field agents. It will also help to deal with decreasing personnel and resources due to budget constraints. The initial projects will focus on international tax enforcement, employment tax and SEC microcap fraud. It is also expected to identify new areas of non-compliance and start investigations in these new areas. The second “new” program will be a specialized group of agents already experienced in international tax enforcement. Their expertise will provide specialized skills and knowledge in this area of enforcement. Their efforts, along with the Department of Justice, international tax partners and information gathered from the Bank Secrecy Act, FATCA, whistleblowers, the Offshore Voluntary Disclosure Programs, the Panama Papers, etc., will allow them to identify, through data analysis, new or continuing non-compliance in the international area. Initially, the group will consist of 10 to 12 special agents working out of the Washington D.C. field office. Others will be located at “strategic” locations around the country. These new programs should give further incentive to those who have yet to avail themselves of the Offshore Voluntary Disclosure programs to give further serious consideration to doing so. Time continues to run out for those continuing to believe they will not be discovered.